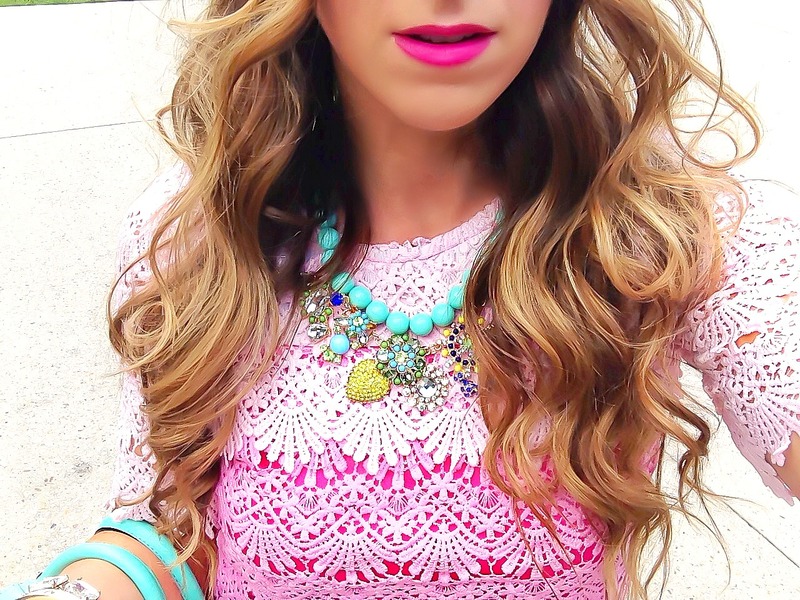 Today’s look features Ameera Noor once again!…this time with this gorgeous pink ombre lace top. 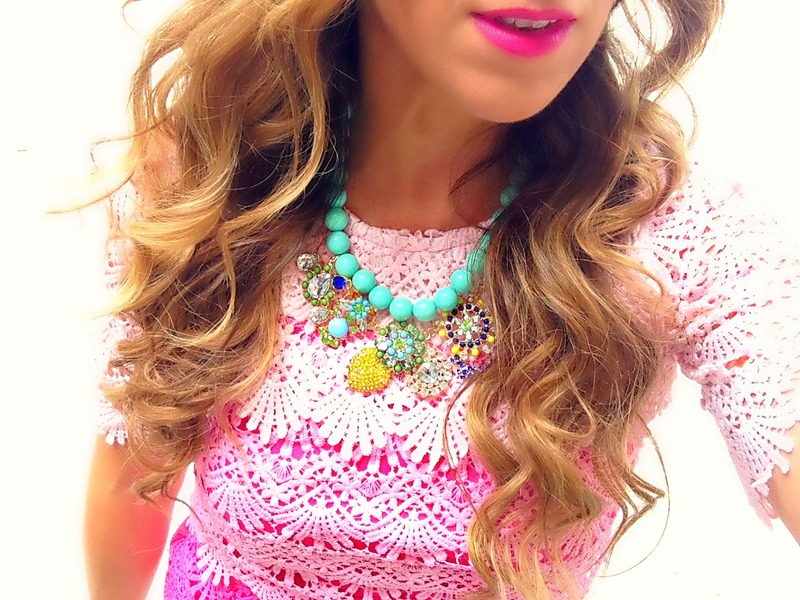 Pink AND lace AND ombre?? Be still my beating heart! What a fabulous top that makes even a pair of simple white high waisted shorts look special! I love a good structured knit and this one feel substantial, which I LOVE. I’m never a huge fan of flimsy knits. This piece feels very high end and luxe with its’ thicker knit fabric. A total winner, you guys. I paired it with some white knit high waisted shorts to let the top and gorgeous colors of the necklace really shine here. I especially love the uniqueness of this necklace and the fact that it can be worn with lots of other pieces given all the colors in it. And don’t even get me started on that shade of mint blue. Turns out my Kate Spade bow bag and summer heels worked out perfectly with the rest of the look. Dare I say MINT to be?? So pretty! Great lip color too!